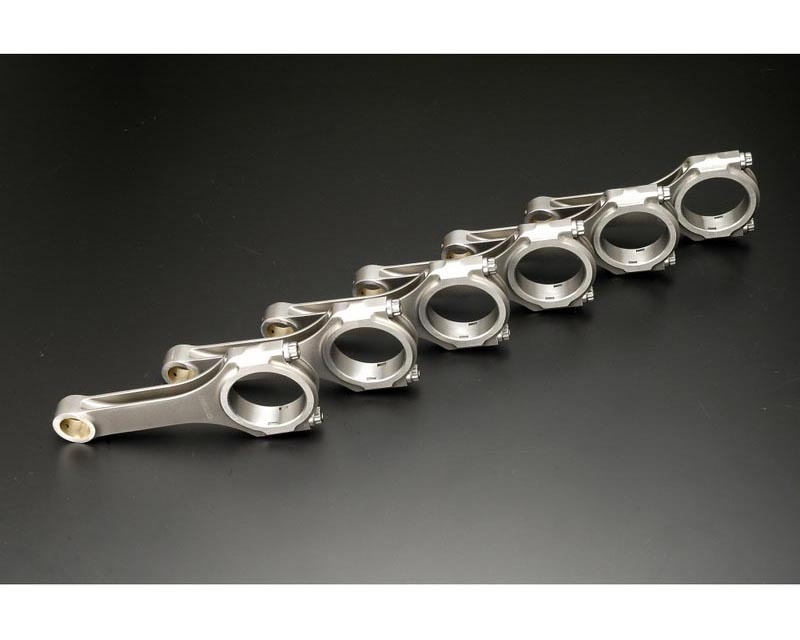 Connecting rods are one of the most crucial components of a high performance engine, their purpose is to connect the piston to the crankshaft. This means they must be able to handle a great amount of stress. Most engines use cast connecting rods from the factory. Cast metal is more likely to fracture when stressed in high temperature/high rpm conditions. Breaking a connecting rod causes catastrophic engine failure and very costly repair bills. Due to their H beam construction these connecting rods can handle much greater forces. Their unique shape dissipates the intense stress that connecting rods are subjected to thousands of times every minute. This is important in race engines because they are in constant high RPM operation for long periods of time.